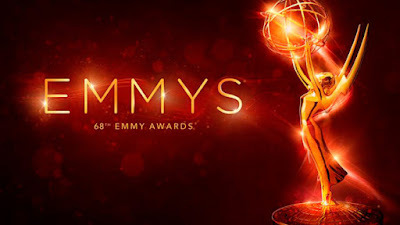 The 68th Annual Emmy Awards take place tonight, which means it's time to make my annual picks on who I think will take home this year's Emmy Awards! Last week we saw the Technical and Art Emmys take place, and we were incredibly excited to see one of our favorite shows, @midnight take home their second Emmy! We were also thrilled to see Amy Poehler take home her first Emmy, which was long overdue, to say the least. 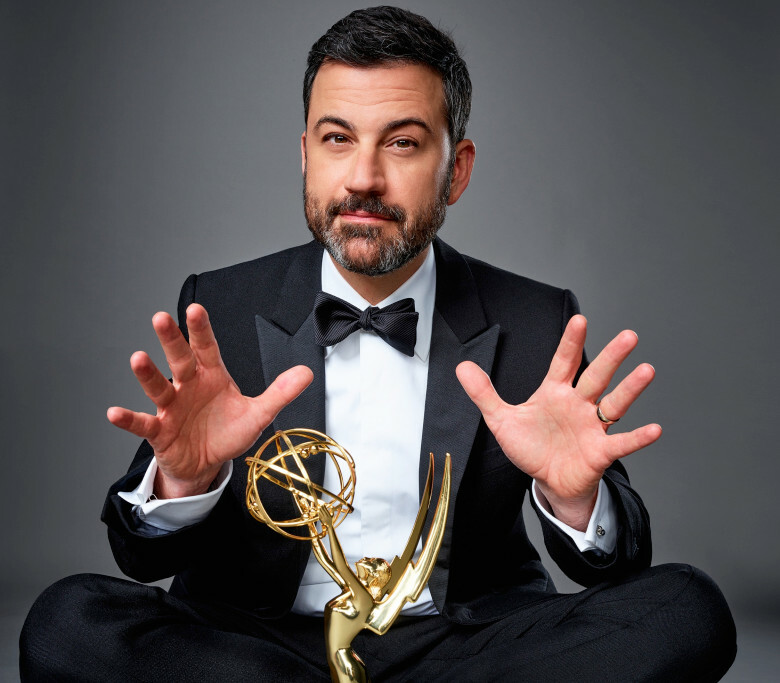 Jimmy Kimmel hosts the Emmys tonight from the Microsoft Theatre in Los Angeles. We are big fans of Jimmy Kimmel and were just at his show last week with last year's Emmy host, Andy Samberg. We are really looking forward to seeing what Jimmy has in store for this year's show. Watch the 68th Emmy Awards TONIGHT at 5PM PST/8PM EST on ABC, hosted by Jimmy Kimmel. After leaving fans hanging at the end of Season 5, Game of Thrones came back with a vengeance in Season 6. Despite the incredible season, don't be surprised if you see one of my favorite, Mr. Robot, sneak in with the upset. I wouldn't be surprised to see Bob Odenkirk or Matthew Rhys take home the Emmy this year, but Rami Malek has been absolutely captivating in Mr. Robot and I think this is finally his year. Jeffery Tambor's performance in Transparent is absolutely incredible and groundbreaking! Tambor has grabbed plenty of awards for his role, and I don't think this year's Emmys will be an exception. We could see Anthony Anderson sneak in here for Black-ish, but Tambor should have this locked down. I must say though, I would love to see Thomas Middleditch or Aziz Ansari take this home. Their time will come! There are so many great nominees in this category! I think Keri Russell has this one in the bag, but don't count out Tatiana Maslany for Orphan Black. She could easily be the upset here! This is going to be Ellie Kemper's year! This Emmy is a long time coming for the Kimmy Schmidt star, and after a hilarious second season, I think she finally will bring home the Emmy. As usual though, don't count out the brilliance of Julia Louis-Dreyfus in Veep. I've always loved Jonathan Banks and have been rooting for him to take home this Emmy for a while. After 4 Emmy Nominations, three for his role as Mike in Better Call Saul and Breaking Bad, this has to finally be his year. This category is very tightly contested. I could really see Louie Anderson take this home for his incredible performance in Baskets. I would also love to see Matt Walsh or Keegan-Michael Key take this Emmy home. So many episodes of Game of Thrones ended this year with powerful performances from Emilia Clarke. Maisie Williams and Lena Headey also had incredible performances, but none quite as strong as Clarke. This is her third Emmy nomination for Game of Thrones and I think this is finally her year. While Jeffery Tambor's performance was amazing by itself, so much can also be attributed to the incredible supporting role from Judith Light. Don't count out previous Emmy Winner Allison Janney for Mom. She could easily win again. I must say, I would love to see Kate McKinnon take this home for SNL. Her time will come though. Don't count out Courtney B. Vance for The People v. O.J. Simpson: American Crime Story. It's a tight race between these two. Last Week Tonight with John Oliver and The Late Late Show with James Corden are both very close contenders for this Emmy. I could see either one of them upsetting The Tonight Show, but I think Fallon and company have this one in the bag. The Muppets take Disney World!